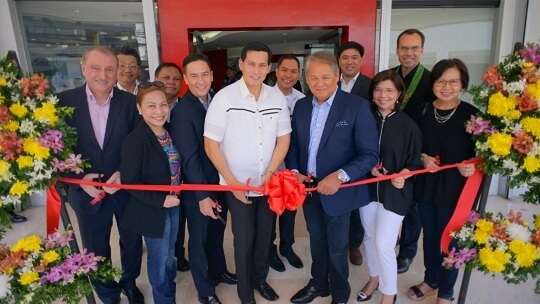 PLDT, through its subsidiary ePLDT, opens the first VITRO facility in Davao, which happens to be also the first ever data center in the Mindanao. The newest VITRO Data Center is located at C. Bangoy St., Roxas Avenue, Poblacion District, Davao City, Davao del Sur, which is about 12 kilometers away from the Davao International Airport and 1km away from the city center. It boasts Tier 2-compliant facility with 44-rack capacity, 7-layer security, hot-aisle & cold-aisle for optimal temperature control, and 99.95% service level agreement. The facility will cater to the growing requirements of industries in Mindanao, especially those that requires heavy data-security, such as banks and other financial institutions as it meets the global data center standards. Moreover, it will provide the necessary boost to the businesses in the south through efficient and effective handling of server requirements and professionally managed IT services. The PLDT Group now has a total of eight date centers with rack capacity of almost 7,000, and will soon operate two more facilities (one in Clark, and an expansion in Cebu) to bring the total capacity to 9,000, the largest in the Philippines.